An essential goal of each program of medical education leading to the M.D. degree must be the meeting of standards for accreditation by the LCME. The accreditation process requires educational programs to provide assurances that their graduates exhibit general professional competencies that are appropriate for entry to the next stage of their training, and that serve as the foundation for life-long learning and proficient medical care. While recognizing the existence and appropriateness of diverse institutional missions and educational objectives, the LCME subscribes to the proposition that local circumstances do not justify accreditation of a substandard program of medical education leading to the M.D. degree. A medical school should be part of a not-for-profit university or chartered as a not-for-profit institution by the government of the jurisdiction in which it operates. If not a component of a regionally accredited institution, a U.S. medical school must achieve institutional accreditation from the appropriate regional accrediting body. The manner in which the medical school is organized, including the responsibilities and privileges of administrative officers, faculty, students and committees must be promulgated in medical school or university bylaws. The governing board responsible for oversight of the medical school must be composed of persons who have no personal or pecuniary interest or other conflict of interest in the operation of the school, its associated hospitals, or any related enterprises. Terms of governing board members should be overlapping and sufficiently long to permit them to gain an understanding of the programs of the medical school. Administrative officers and members of a medical school faculty must be appointed by, or on the authority of, the governing board of the medical school or its parent university. The chief official of the medical school, who usually holds the title "dean," must have ready access to the university president or other university official charged with final responsibility for the school, and to other university officials as are necessary to fulfill the responsibilities of the dean's office. There must be clear understanding of the authority and responsibility for medical school matters among the vice president for health affairs, the dean of the medical school, the faculty, and the directors of the other components of the medical center and university. The dean must be qualified by education and experience to provide leadership in medical education, scholarly activity, and care of patients. A medical school should be a component of a university offering other graduate and professional degree programs that contribute to the academic environment of the medical school. 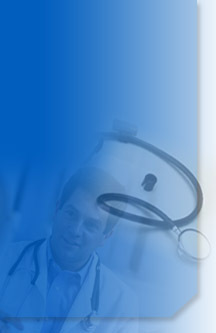 The program of medical education leading to the M.D. degree must be conducted in an environment that fosters the intellectual challenge and spirit of inquiry appropriate to a community of scholars. Students should have the opportunity to participate in research and other scholarly activities of the faculty. All medical school faculty members should work closely together in teaching, research, and health care delivery. The medical school faculty must define the objectives of its educational program. The program of medical education leading to the M.D. degree must include at least 130 weeks of instruction. The medical faculty must design a curriculum that provides a general professional education, and fosters in students the ability to learn through self-directed, independent study throughout their professional lives. The curriculum must incorporate the fundamental principles of medicine and its underlying scientific concepts; allow students to acquire skills of critical judgment based on evidence and experience; and develop students' ability to use principles and skills wisely in solving problems of health and disease. It must include current concepts in the basic and clinical sciences, including therapy and technology, changes in the understanding of disease, and the effect of social needs and demands on care. There must be comparable educational experiences and equivalent methods of evaluation across all alternative instructional sites within a given discipline. The curriculum must include behavioral and socioeconomic subjects, in addition to basic science and clinical disciplines. It must include the contemporary content of those disciplines that have been traditionally titled anatomy, biochemistry, genetics, physiology, microbiology and immunology, pathology, pharmacology and therapeutics, and preventive medicine. Instruction within the basic sciences should include laboratory or other practical exercises that entail accurate observations of biomedical phenomena and critical analyses of data. Clinical instruction must cover all organ systems, and include the important aspects of preventive, acute, chronic, continuing, rehabilitative, and end-of-life care. Clinical experience in primary care must be included as part of the curriculum. The curriculum should include clinical experiences in family medicine, internal medicine, obstetrics and gynecology, pediatrics, psychiatry, and surgery. Students' clinical experiences must utilize both outpatient and inpatient settings. Educational opportunities must be available in multidisciplinary content areas, such as emergency medicine and geriatrics, and in the disciplines that support general medical practice, such as diagnostic imaging and clinical pathology. The curriculum must include elective courses to supplement required courses. There must be specific instruction in communication skills as they relate to physician responsibilities, including communication with patients, families, colleagues, and other health professionals. The curriculum must prepare students for their role in addressing the medical consequences of common societal problems, for example, providing instruction in the diagnosis, prevention, appropriate reporting, and treatment of violence and abuse. The faculty and students must demonstrate an understanding of the manner in which people of diverse cultures and belief systems perceive health and illness and respond to various symptoms, diseases, and treatments. Medical students must learn to recognize and appropriately address gender and cultural biases in themselves and others, and in the process of health care delivery. A medical school must teach medical ethics and human values, and require its students to exhibit scrupulous ethical principles in caring for patients, and in relating to patients' families and to others involved in patient care. Residents who supervise or teach medical students, as well as graduate students and postdoctoral fellows in the biomedical sciences who serve as teachers or teaching assistants, must be familiar with the educational objectives of the course or clerkship and be prepared for their roles in teaching and evaluation. Supervision of student learning experiences must be provided throughout required clerkships by members of the medical school's faculty. The medical school faculty must establish a system for the evaluation of student achievement throughout medical school that employs a variety of measures of knowledge, skills, behaviors, and attitudes. There must be ongoing assessment that assures students have acquired and can demonstrate on direct observation the core clinical skills, behaviors, and attitudes that have been specified in the school's educational objectives. There must be evaluation of problem solving, clinical reasoning, and communication skills. The faculty of each discipline should set the standards of achievement in that discipline. The directors of all courses and clerkships must design and implement a system of formative and summative evaluation of student achievement in each course and clerkship. Each student should be evaluated early enough during a unit of study to allow time for remediation. Narrative descriptions of student performance and of non-cognitive achievement should be included as part of evaluations in all required courses and clerkships where teacher-student interaction permits this form of assessment. There must be integrated institutional responsibility for the overall design, management, and evaluation of a coherent and coordinated curriculum. The program's faculty must be responsible for the detailed design and implementation of the components of the curriculum. The objectives, content, and pedagogy of each segment of the curriculum, as well as for the curriculum as a whole, must be subject to periodic review and revision by the faculty. The chief academic officer must have sufficient resources and authority to fulfill the responsibility for the management and evaluation of the curriculum. The faculty committee responsible for the curriculum must monitor the content provided in each discipline so that the school's educational objectives will be achieved. The committee should give careful attention to the impact on students of the amount of work required, including the frequency of examinations and their scheduling. The medical school's chief academic officer must be responsible for the conduct and quality of the educational program and for assuring the adequacy of faculty at all educational sites. The principal academic officer of each geographically remote site must be administratively responsible to the chief academic officer of the medical school conducting the educational program. The faculty in each discipline at all sites must be functionally integrated by appropriate administrative mechanisms. There must be a single standard for promotion and graduation of students across geographically separate campuses. The parent school must assume ultimate responsibility for the selection and assignment of all medical students when geographically separated campuses are operated. Students assigned to all campuses should receive the same rights and support services. Students should have the opportunity to move among the component programs of the school. To guide program improvement, medical schools must evaluate the effectiveness of the educational program by documenting the extent to which its objectives have been met. In assessing program quality, schools must consider student evaluations of their courses and teachers, and an appropriate variety of outcome measures. Students preparing to study medicine should acquire a broad education, including the humanities and social sciences. Premedical course requirements should be restricted to those deemed essential preparation for completing the medical school curriculum. The faculty of each school must develop criteria and procedures for the selection of students that are readily available to potential applicants and to their collegiate advisors. The final responsibility for selecting students to be admitted for medical study must reside with a duly constituted faculty committee. Each medical school must have a pool of applicants sufficiently large and possessing national level qualifications to fill its entering class. Medical schools must select students who possess the intelligence, integrity, and personal and emotional characteristics necessary for them to become effective physicians. The selection of individual students must not be influenced by any political or financial factors. Each medical school should have policies and practices ensuring the gender, racial, cultural, and economic diversity of its students. Each school must develop and publish technical standards for admission of handicapped applicants, in accordance with legal requirements. The institution's catalog or equivalent informational materials must describe the requirements for the M.D. and all associated joint degree programs, provide the most recent academic calendar for each curricular option, and describe all required courses and clerkships offered by the school. Institutional resources to accommodate the requirements of any visiting and transfer students must not significantly diminish the resources available to existing enrolled students. Transfer students must demonstrate achievements in premedical education and medical school comparable to those of students in the class that they join. Prior coursework taken by students who are accepted for transfer or admission to advanced standing must be compatible with the program to be entered. Transfer students should not be accepted into the final year of the program except under rare circumstances. The accepting school should verify the credentials of visiting students, formally register and maintain a complete roster of such students, approve their assignments, and provide evaluations to their parent schools. Students visiting from other schools for clinical clerkships and electives must possess qualifications equivalent to students they will join in these experiences. The system of academic advising for students must integrate the efforts of faculty members, course directors, and student affairs officers with the school's counseling and tutorial services. There must be a system to assist students in career choice and application to residency programs, and to guide students in choosing elective courses. If students are permitted to take electives at other institutions, there should be a system centralized in the dean's office to review students' proposed extramural programs prior to approval and to ensure the return of a performance appraisal by the host program. The process of applying for residency programs should not disrupt the general medical education of the students. Letters of reference or other credentials should not be provided until the fall of the student's final year. A medical school must provide students with effective financial aid and debt management counseling. Schools should develop financial aid resources that minimize total student indebtedness. Institutions must have clear and equitable policies for the refund of tuition, fees, and other allowable payments. Each school must have an effective system of personal counseling for its students that includes programs to promote the well-being of students and facilitate their adjustment to the physical and emotional demands of medical school. Medical schools should follow accepted guidelines in determining appropriate immunizations for medical students. Schools must have policies addressing student exposure to infectious and environmental hazards. In the admissions process and throughout medical school, there should be no discrimination on the basis of gender, sexual orientation, age, race, creed, or national origin. Each medical school must define and publicize the standards of conduct for the teacher-learner relationship, and develop written policies for addressing violations of those standards. The medical school must publicize to all faculty and students its standards and procedures for the evaluation, advancement, and graduation of its students and for disciplinary action. There must be a fair and formal process for taking any action that adversely affects the status of a student. Student records must be confidential and available only to members of the faculty and administration with a need to know, unless released by the student or as otherwise governed by laws concerning confidentiality. Students must be allowed to review and challenge their records. Schools should assure that students have adequate study space, lounge areas, and personal lockers or other secure storage facilities. Faculty members should have a commitment to continuing scholarly productivity characteristic of an institution of higher learning. The medical school faculty must make decisions regarding student admissions, promotion, and graduation, and must provide academic and career counseling for students. Opportunities for professional development must be provided to enhance faculty members' skills and leadership abilities in education and research. In the relationship between the medical school and its clinical affiliates, the educational program for medical students must remain under the control of the school's faculty. The medical school must have access to well-maintained library and information facilities, sufficient in size, breadth of holdings, and information technology to support its education and other missions. There should be physical or electronic access to leading biomedical, clinical, and other relevant periodicals, the current numbers of which should be readily available. The library and other learning resource centers must be equipped to allow students to access information electronically, as well as to use self-instructional materials. The library and information services staff must be responsive to the needs of the faculty, residents and students of the medical school. A professional staff should supervise the library and information services, and provide instruction in their use. The library and information services staff should be familiar with current regional and national information resources and data systems, and with contemporary information technology. Both school officials and library/information services staff should facilitate access of faculty, residents, and medical students to information resources, addressing their needs for information during extended hours and at dispersed sites.